I'm a Christmas person. I've said it before and I'll say it again, I love everything about Christmas. From mulled wine to buying gifts to the cheesy Christmas pop songs that get played everywhere from November onwards (on that note why are there no Christmas hits made since the 80's?). I love it all! I think I enjoy it even more as the years go on, especially as an adult with my own children. The day I crack out my Christmas jumper seems to get earlier and earlier each year too! That being said Christmas can often be a super stressful time too! I often find that Christmas plans starts to get mentioned somewhere around October and trying to organise who visits who/buys what/cooks that can be pretty tense and overwhelming at times. 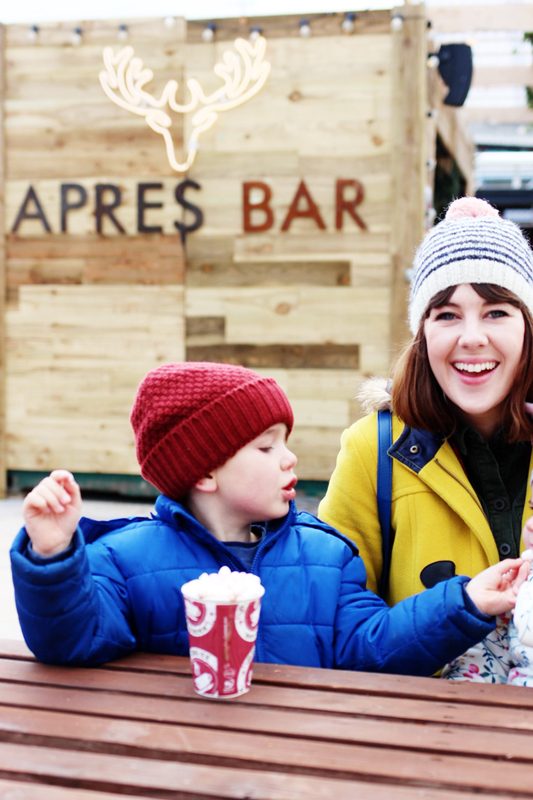 I'm working with Actimel to share their new video and some positive Christmas vibes! One of the things that I think often causes the most tension in our extended family is the logistics of it all. 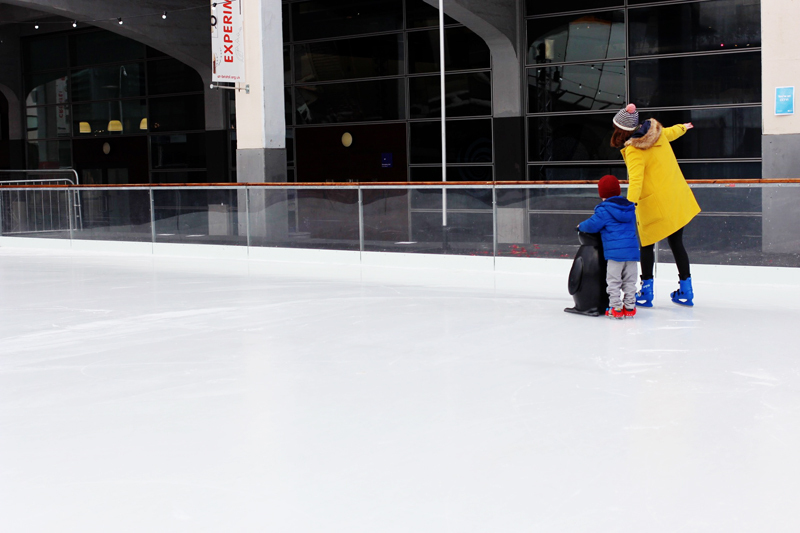 I mentioned on my blog before but we made a rule shortly after having Wilf that Christmas day will always be spent with just us and the kids and the other days around the period can be spend visiting grandparents and aunties and uncles. I love that we have this one day just to relax and spend time with each other, life is often so busy so it feels like a real treat just to snuggle down together, watch Christmas movies and eat mince pies all day long! Other than family logistics I find that Christmas shopping can probably be one of the most fraught part of this time of year. Both my babies were born in December so I started a tradition of getting all our big gifts sorted and bought online well in advance. There are so many brilliant handmade online shops these days that I don't feel like it’s a compromise on shopping small. I feel like this really takes the pressure of manically running about shopping centres trying to find this or that and means we can enjoy doing Christmassy bits on our weekends instead. We do still go out to shop for little bits and bobs and always pick up something from the local Christmas market. 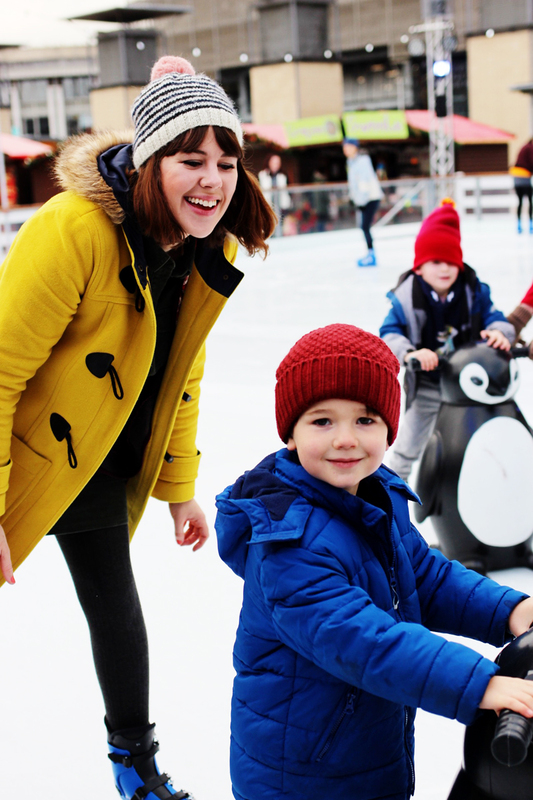 This weekend we decided to do just that, we headed into town to pick up a gift for Wilf's school buddies and then spend the rest of the day getting into the festive spirt by hitting the ice rink and Christmas market for hot chocolate. 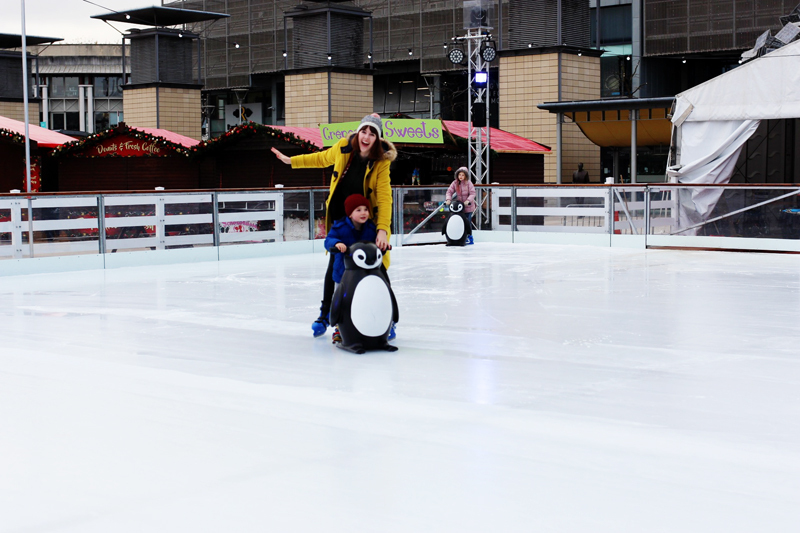 I can't say I'm all that graceful at ice skating, I think I needed that penguin aid more than my little boy if I'm honest! 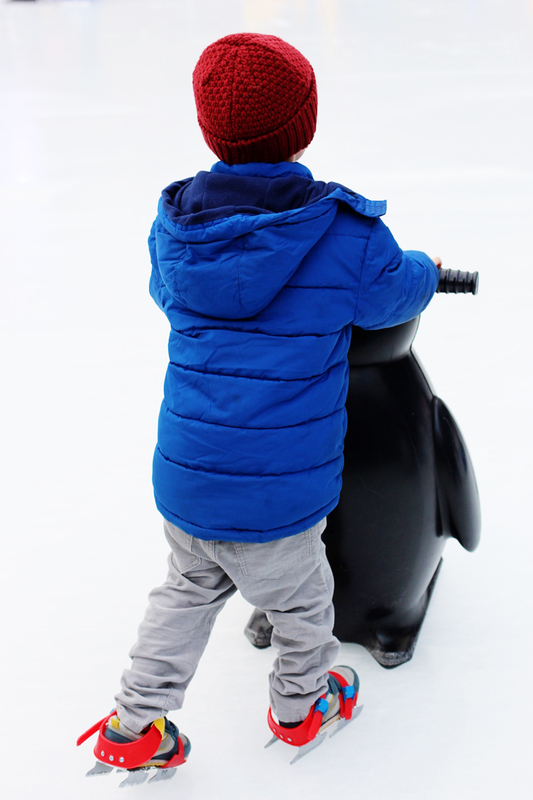 We had such a fun morning though and I just love the pics Tom took from the side, Mabli is too little this year but next year I'm looking forward to getting her sat on one of the banana sledges. 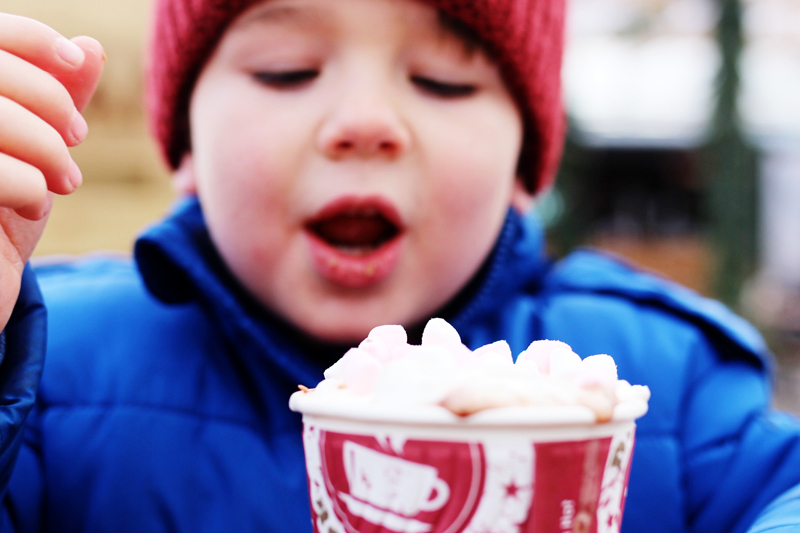 Of course minutes after the flake and marshmallows were eaten poor Wilf dropped his hot chocolate on himself. I was pretty chuffed with myself for bringing a spare set of clothes that day! 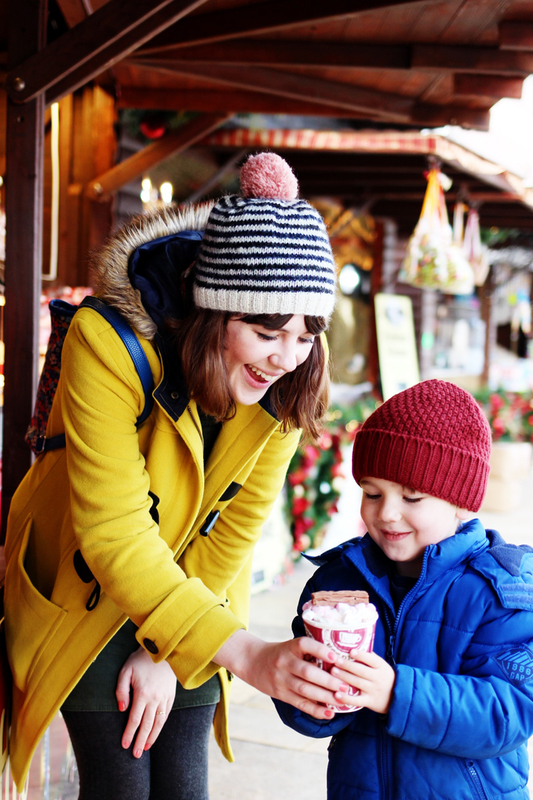 I'd love to know what tips you have for 'staying strong' during this season and also what your favourite part of the holidays are! This post is sponsored by Actimel. Actimel contains Vitamin B6 that contributes to the reduction of tiredness and fatigue. Love this!! So many great ideas and tips. 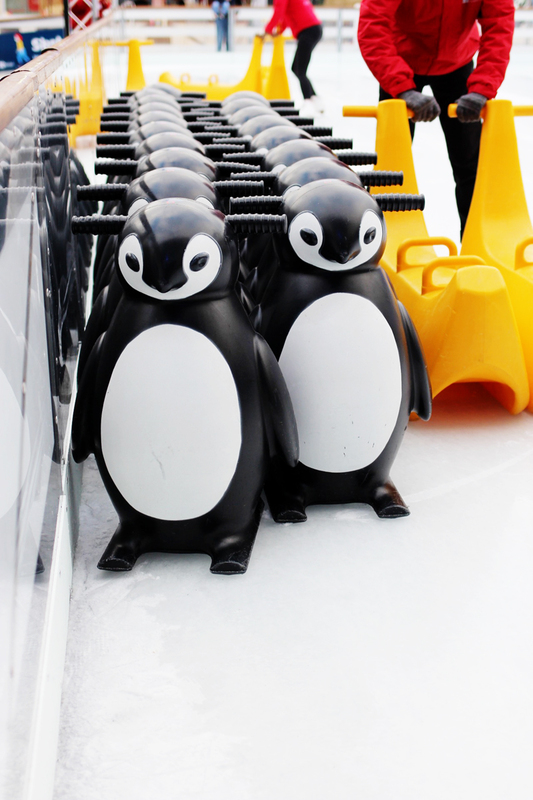 You guys look so cute on the ice. These are gorgeous shots of you and Wilf!